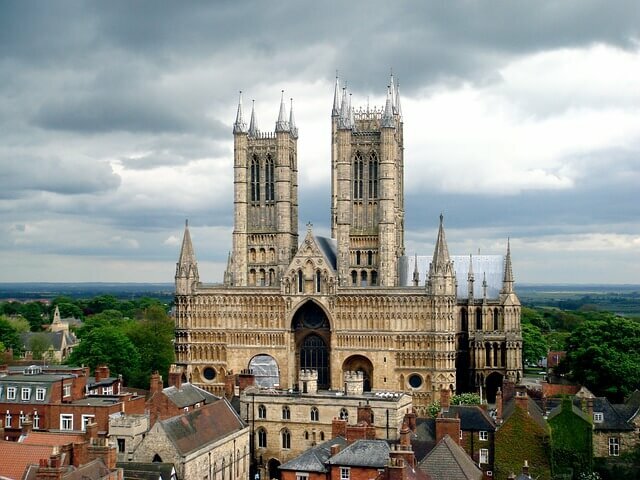 Sometimes overlooked, the county of Lincolnshire offers visitors a plethora of things to see and do. Historic buildings, castles and cathedrals to visit, superb local produce available across the county, fantastic countryside to ramble and a wild coast line just waiting to be explored. Lincolnshire has everything. Rolling countryside at the Lincolnshire Wolds, flatter terrain ideal for cyclists and walkers. Water sports enthusiasts will love one of the largest unspoilt coastlines in the UK and is also home to some amazing nature reserves with fantastic bird watching and photography opportunities. Fine dining restaurants, award winning restaurants are dotted across the county and it easy to see why with the fabulous local produce available throughout the seasons. Famed for arguably the best fish and chips in the country as well as the incomparable Lincolnshire sausage and Lincolnshire poacher cheese, food lovers will not be disappointed. Long before The Burj Khalifa in Dubai, Lincoln Cathedral was once the tallest building in the world and has almost 1,000 years of history and architecture to explore. This is a very popular attraction and one not to be missed when visiting Lincolnshire. Visit a time when boys were Heroes! While staying at your luxury retreat in Lincolnshire a visit to discover and experience the counties aviation history is a must. With a choice of fabulous museums and heritage sites there is something for all ages. At Handpicked Cottages, we are looking to add a selection of superb, luxury cottages and retreats for you to stay when you visit Lincolnshire. Why not check out Little Owl Lodge and Lapwing Lodge at Rural Roosts for a peaceful lodge holiday in style.